Trust.Zone, a VPN vendor, cannot be based in a more beautiful location than Seychelles, an island state off the coast of East Africa. As opposed to its location, subscribers to a VPN are mainly interested in privacy protection and breaking regional censorship on media streaming websites. As a VPN service provider, how good is Trust.Zone? 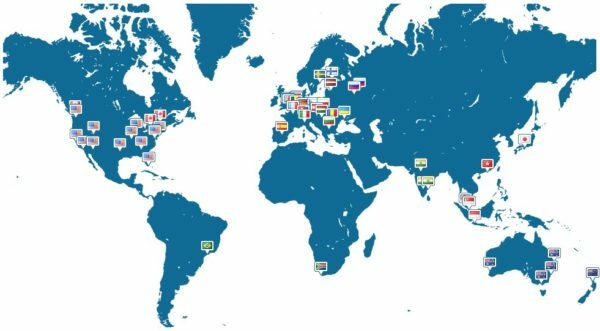 Trust.Zone operates a relatively small VPN consisting of 79 servers in 25 countries. The VPN servers are assigned to 50 zones based on physical proximity. The benefits to the subscribers are increased fault tolerance and better network management. Specifically, when a VPN server goes off-line or is experiencing a high traffic volume, subscribers who are connected to it will be automatically re-connected to another server in the same zone that offers better bandwidth. No restriction is placed on bandwidth and the applications that subscribers can run on a VPN server. File-sharing and media streaming are 2 popular but bandwidth-intensive activities of VPN subscribers. All Trust.Zone VPN servers support those activities. You will also find servers that are optimized for specific media websites, e.g., Hulu, Netflix USA, and Australian TV. If your main purpose of using a VPN is to stream regionally-restricted media contents, then you may have a concern over the small number of countries with a VPN server. You should verify that Trust.Zone operates in the countries that you want. Trust.Zone does not operate its own DNS servers. Instead, it uses third-party DNS servers such as Google. The third-party DNS providers will log the websites that users visit. Although the traffic cannot be traced back to identify individual users, the security-conscious subscribers should beware of the privacy risk. Today's Internet users are no longer Windows-exclusive. Besides Windows computers, they also have devices that run on Linux, MacOS, iOS, and Android platforms. In addition, more and more Internet-enabled devices are network appliances such as game consoles, smart TVs, and streaming media players. To protect the online privacy of Internet users in a meaningful way, a VPN must support all the aforementioned technology platforms and devices. Moreover, it should be easy for subscribers to configure and run VPN on those devices. Most VPN vendors provide VPN client applications on Windows, MacOS, iOS, and Android. Running these apps on your corresponding devices will set up VPN automatically. Typically, the only action that you need to take is to select a VPN server for connection. Trust.Zone, on the other hand, only provides a Windows client app. While Trust.Zone supports Linux, MacOS, iOS, and Android, you have to manually configure VPN to work on those platforms. The Trust.Zone website has the detailed setup instructions for the non-Windows systems. The Windows client app includes a kill switch feature. The kill switch is a fail-safe mechanism that is triggered when a VPN connection drops. Without a kill switch, all Internet traffic is rerouted to the unprotected regular Internet connection, resulting in greater risk of privacy violation. When the kill switch is enabled by the Windows app, all Internet connections are immediately killed when the VPN connection drops. No Internet data is leaked into the unsecure connection. The client app also runs a proprietary implementation of the OpenVPN protocol. OpenVPN is generally regarded as the top VPN protocol in maximizing speed and security. But, a proprietary implementation means that its quality cannot be independently verified. If you want to use the official OpenVPN version, you need to manually install and set up OpenVPN on your Windows machines. You may set up Trust.Zone on as many devices as you want, but only 3 devices can connect to the VPN simultaneously. 3 devices should be sufficient for most subscribers. You can connect your smartphone, laptop, and a media player at the same time. If you want to connect more than 3 devices, you can set up Trust.Zone on a DD-WRT router. The router counts as 1 device to the 3-device limit. Yet, all devices connected behind the router can access the VPN without being counted as additional devices. DD-WRT is a third-party router firmware that you can download and install on supported home routers. The firmware enables some advanced functionalities on these otherwise low-end routers. If your router is already converted to DD-WRT, then enabling Trust.Zone on the router is an easy decision to make. If you need to install DD-WRT, beware that an error during the flashing of firmware on a router can possibly turn it into a brick. Unlike many competitors who support various types of routers, Trust.Zone only supports DD-WRT routers. A 3-day free trial is available for first-time customers who want to try out the service before upgrading to a paid plan. Note that you cannot test the service fully with the free trial. Specifically, as many as 26% or 13 of the 50 zones are designated as VIP only, meaning that only paid subscribers have access. Specifically, the servers in the UK, Spain, and Italy are off-limits to free trial subscribers. For example, trial subscribers cannot stream football games from those countries. In addition, free trials are limited to a maximum of 1 GB of data traffic. When the limit is reached, the trial account is deactivated until you upgrade to a paid plan. Trust.Zone has a total of 3 paid subscription plans differentiated by the contract period: namely, 1, 3, and 12 months. 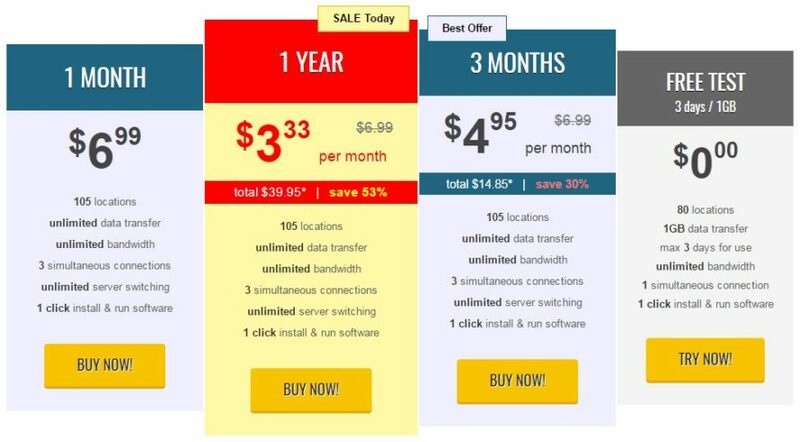 The most affordable plan is the 12-month plan which costs $3.99 (USD) per month. This price is among the lowest in the industry. You can further discount the price by 10% if you pay using Bitcoin. Even without the 10% incentive, the security-conscious subscribers should pay by Bitcoin in any event. Bitcoin is a digital currency which can be purchased and circulated anonymously. The only disadvantage of paying with Bitcoin is that you cannot set up recurring payment. To continue the VPN service after the initial contract period, you need to manually renew your subscription. Trust.Zone also accepts credit card and PayPal payments. The use of those payment methods requires you to give personal identification information. You can set up recurring payment with those payment methods if you subscribe to the 1 or 3-month plan. All paid subscription plans come with a 10-day money-back guarantee. To be eligible for a full refund, your total bandwidth usage must not exceed 1 GB in the 10-day period. The Trust.Zone website contains very basic information on how to set up and configure VPN on your devices. You will find setup guides for the different platforms, a FAQ, and a blog. The website is minimal with respect to contents as compared to the competitors. Subscribers who are not computer savvy may need to contact the support team at Trust.Zone for configuration help. Most VPN vendors offer 7x24 support via email and live chat. Trust.Zone, on the contrary, only provides support Monday to Friday, from 6am to 4pm GMT. The support timetable should be fine for most Europeans because the time zone difference is minimal. However, for North Americans, especially those who live in the Pacific time zone, the difference can be as many as 8 hours, meaning that support is only available in the wee hours of the morning for them. Trust.Zone support is through email only. There is no live chat support. is the declaration by a VPN vendor that it has not received any government subpoena in a specified time period. This is a common practice of VPN vendors to get around the gag order that usually comes with a subpoena. VPN vendors are forbidden to disclose to their subscriber base that a subpoena has been issued. However, if the warrant canary is not updated on the website or is removed outright, subscribers would know that the VPN vendor had been served with one or more subpoenas in the given time period. If your main interest is to break regional censorship on streaming media contents, Trust.Zone is in direct competition with the smart DNS service providers. The smart DNS service is priced similarly as Trust.Zone, but it is specialized in streaming media contents like Netflix. A smart DNS connection has better speed performance than a VPN because it does not encrypt the data traffic. You should definitely test out the speed performance of Trust.Zone before subscribing to a paid plan. If your interest is in privacy and anonymity protection, Trust.Zone offers a VPN service at a very low price. Its VPN network is relatively small, and customer support is not 7x24. However, if you reside in an area well served by the Trust.Zone network, and you manage to set up VPN on your Internet devices, then you can enjoy its protection knowing that you are paying a very low price for the service. Manual VPN configuration on all but Windows platforms. Router support for DD-WRT only.